I attended the 2nd annual BMW “Celebration of Culture” at the Georgia Freight Deposit. This event catered to over 300 of Georgia’s elite artist, celebrities, influencers, and luxury car fanatics. Guest were exposed to a dazzling lineup of international food, art, and music inspired by African-American, Asian-American, and Hispanic-American cultures. The event was the ultimate celebration of diversity and authenticity among various cultures. Along with promoting cultural inclusion and representation, BMW has been a long time participant in community uplift. To support these efforts, funds from the event will benefit underdeveloped communities in Atlanta and Houston. I appreciated that the event was in no way a typical sales event – it was an experience that connected with culture and the real world. From the moment I walked through the door, I was immersed in an experience like no other. One of the most memorable moments from the night was an amazing performance by the dragon dancers representing tradition Chinese culture. The entire night, my taste buds were seduced with delectable cuisine ranging from traditional Korean to Black Southern cooking. Throughout the night, guest were entertained by the music stylings of Doug E. Fresh. 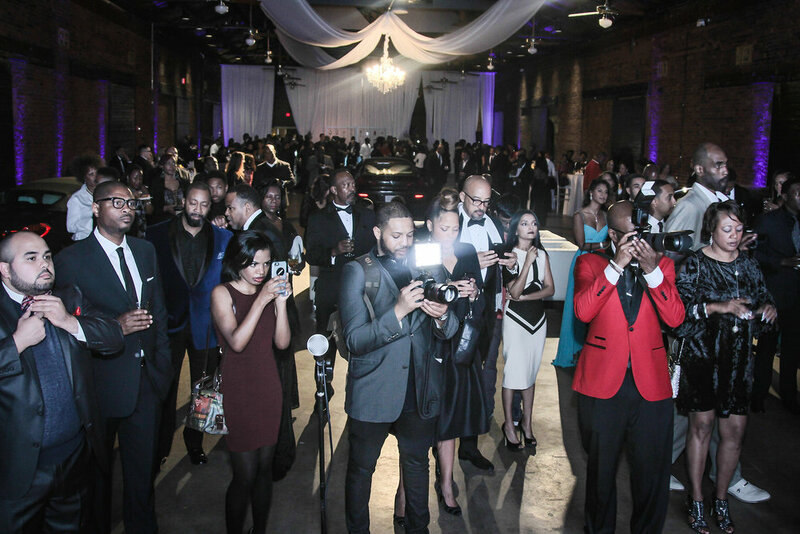 The event was packed with some of Atlanta’s elite such as The Real Housewives of Atlanta star, Cynthia Bailey and iconic music producer, Jermaine Dupri. I even snapped a photo with Cynthia! Overall, I had an amazing time at the event. It is great to be invited by a company like BMW that has such impactful initiatives in local and global communities. Be on the lookout for the BMW: Celebration of Culture event coming to a major city near you!